Using data from NASA’s Chandra X-ray Observatory and NASA’s Spitzer Space Telescope, which observes in the infrared, researchers have concluded one of every five sources contributing to the infrared signal is a black hole. “Our results indicate black holes are responsible for at least 20 percent of the cosmic infrared background, which indicates intense activity from black holes feeding on gas during the epoch of the first stars,” said Alexander Kashlinsky, an astrophysicist at NASA’s Goddard Space Flight Center in Greenbelt, Md. 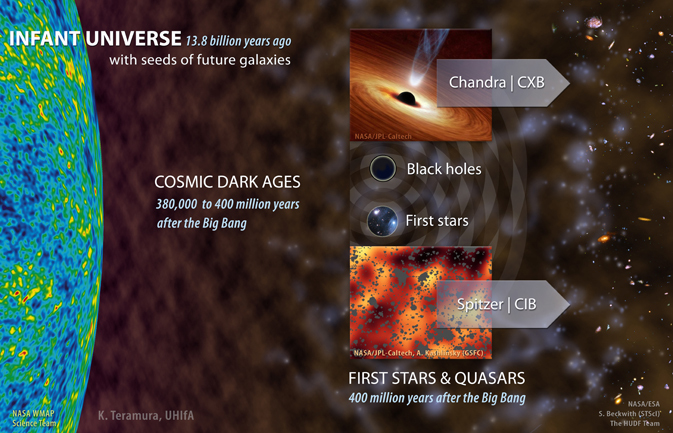 The cosmic infrared background (CIB) is the collective light from an epoch when structure first emerged in the universe. Astronomers think it arose from clusters of massive suns in the universe’s first stellar generations, as well as black holes, which produce vast amounts of energy as they accumulate gas. “We wanted to understand the nature of the sources in this era in more detail, so I suggested examining Chandra data to explore the possibility of X-ray emission associated with the lumpy glow of the CIB,” said Guenther Hasinger, director of the Institute for Astronomy at the University of Hawaii in Honolulu, and a member of the study team. NASA’s Spitzer Space Telescope has detected light emanating from a “super-Earth” planet beyond our solar system for the first time. While the planet is not habitable, the detection is a historic step toward the eventual search for signs of life on other planets. This artist’s animation depicts 55 Cancri e as it orbits its star. The planet whips around the star closely and quickly: It is 25 times closer to the star than Mercury is to our sun and completes one orbit — its year — in a mere 18 hours. 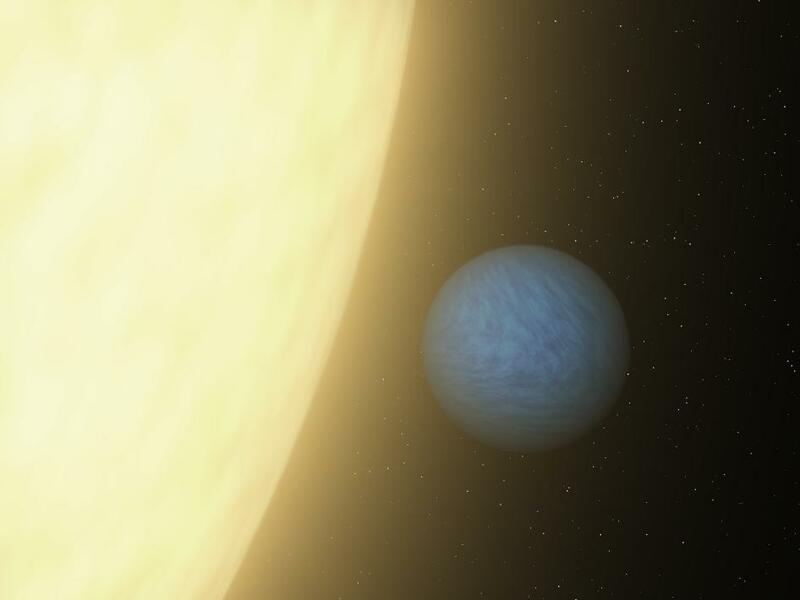 Previously, Spitzer and other telescopes were able to study the planet by analyzing how the light from 55 Cancri changed as the planet passed in front of the star. 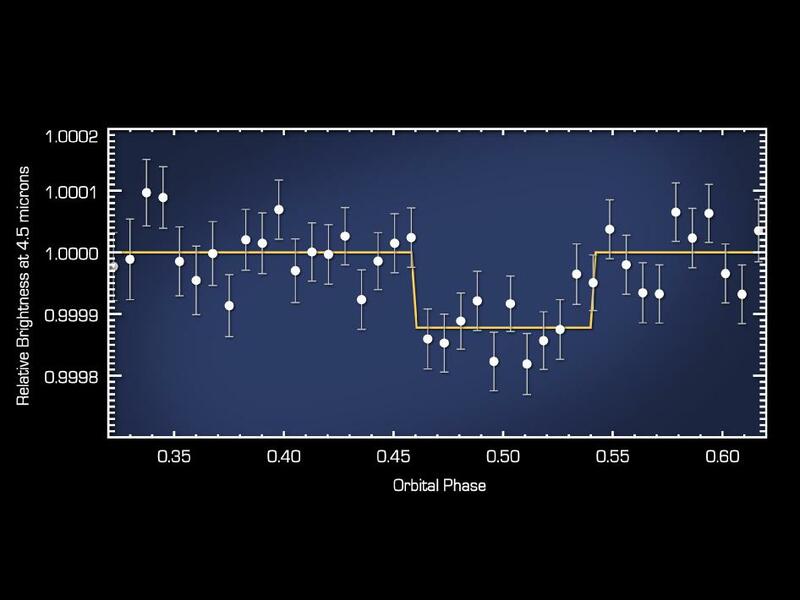 In the new study, Spitzer measured how much infrared light comes from the planet itself. 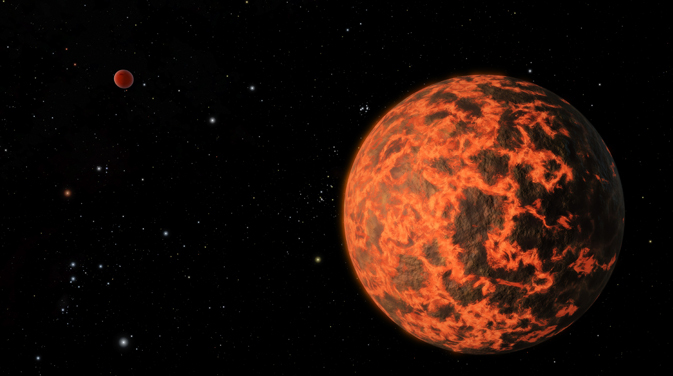 The results reveal the planet is likely dark, and its sun-facing side is more than 2,000 Kelvin (3,140 degrees Fahrenheit), hot enough to melt metal. The new information is consistent with a prior theory that 55 Cancri e is a water world: a rocky core surrounded by a layer of water in a “supercritical” state where it is both liquid and gas, and topped by a blanket of steam. “It could be very similar to Neptune, if you pulled Neptune in toward our sun and watched its atmosphere boil away,” said Michaël Gillon of Université de Liège in Belgium, principal investigator of the research, which appears in the Astrophysical Journal. The lead author is Brice-Olivier Demory of the Massachusetts Institute of Technology in Cambridge. 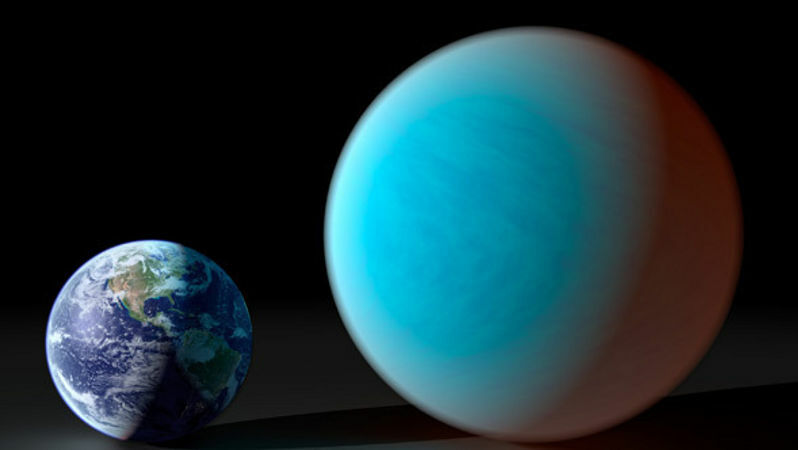 The 55 Cancri system is relatively close to Earth, at 41 light-years away. It has five planets, with 55 Cancri e the closest to the star and tidally locked, so one side always faces the star. Spitzer discovered the sun-facing side is extremely hot, indicating the planet probably does not have a substantial atmosphere to carry the sun’s heat to the unlit side. NASA’s James Webb Space Telescope, scheduled to launch in 2018, likely will be able to learn even more about the planet’s composition. The telescope might be able to use a similar infrared method to Spitzer to search other potentially habitable planets for signs of molecules possibly related to life. In 2005, Spitzer became the first telescope to detect light from a planet beyond our solar system. To the surprise of many, the observatory saw the infrared light of a “hot Jupiter,” a gaseous planet much larger than the solid 55 Cancri e. Since then, other telescopes, including NASA’s Hubble and Kepler space telescopes, have performed similar feats with gas giants using the same method. In this method, a telescope gazes at a star as a planet circles behind it. When the planet disappears from view, the light from the star system dips ever so slightly, but enough that astronomers can determine how much light came from the planet itself. This information reveals the temperature of a planet, and, in some cases, its atmospheric components. Most other current planet-hunting methods obtain indirect measurements of a planet by observing its effects on the star…. 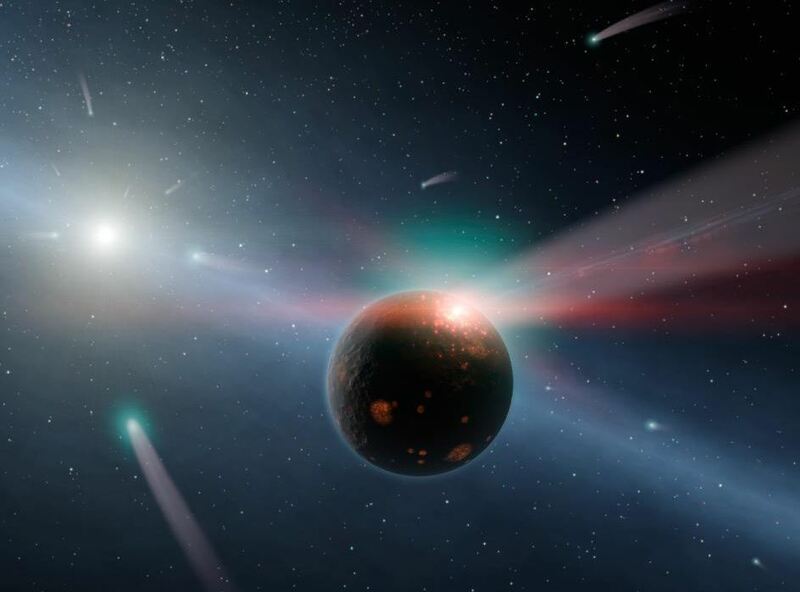 A mystery that began nearly 2,000 years ago, when Chinese astronomers witnessed what would turn out to be an exploding star in the sky, has been solved. New infrared observations from NASA’s Spitzer Space Telescope and Wide-field Infrared Survey Explorer, or WISE, reveal how the first supernova ever recorded occurred and how its shattered remains ultimately spread out to great distances. A new image of the supernova, known as RCW 86, is online athttp://go.nasa.gov/pnv6Oy . In 185 A.D., Chinese astronomers noted a “guest star” that mysteriously appeared in the sky and stayed for about 8 months. By the 1960s, scientists had determined that the mysterious object was the first documented supernova. 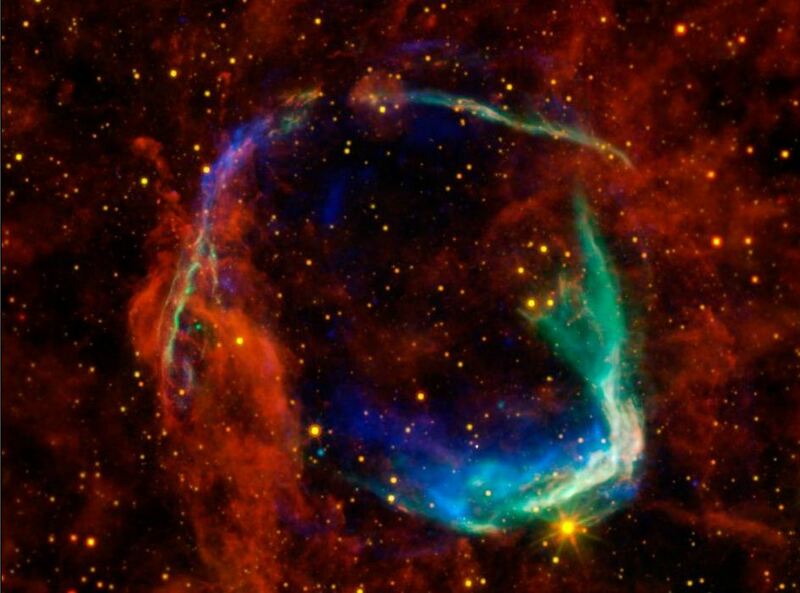 Later, they pinpointed RCW 86 as a supernova remnant located about 8,000 light-years away. But a puzzle persisted. The star’s spherical remains are larger than expected. If they could be seen in the sky today in infrared light, they’d take up more space than our full moon. 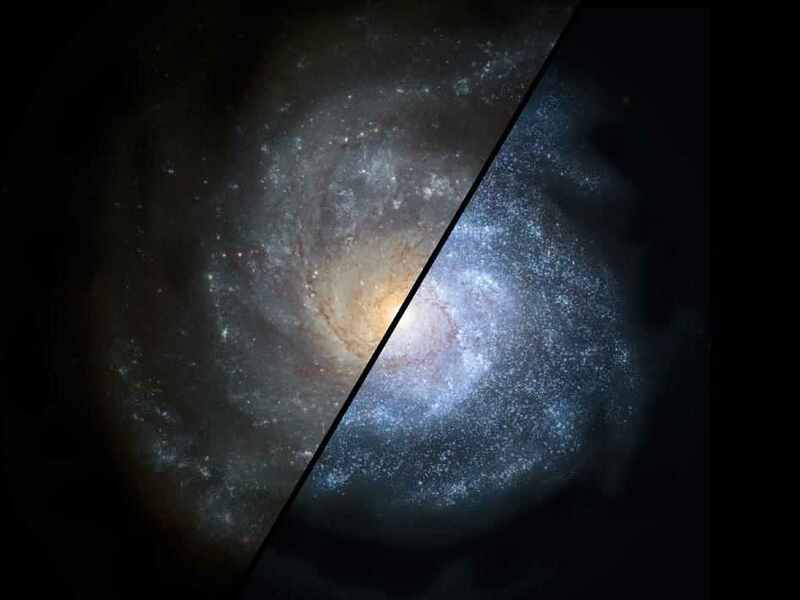 The solution arrived through new infrared observations made with Spitzer and WISE, and previous data from NASA’s Chandra X-ray Observatory and the European Space Agency’s XMM-Newton Observatory. The findings reveal that the event is a “Type Ia” supernova, created by the relatively peaceful death of a star like our sun, which then shrank into a dense star called a white dwarf. The white dwarf is thought to have later blown up in a supernova after siphoning matter, or fuel, from a nearby star. NASA’s Jet Propulsion Laboratory, Pasadena, Calif., manages the Spitzer Space Telescope mission for NASA’s Science Mission Directorate, Washington. Science operations are conducted at the Spitzer Science Center at the California Institute of Technology in Pasadena. Caltech manages JPL for NASA. For more information about Spitzer, visit http://spitzer.caltech.edu/ and http://www.nasa.gov/spitzer. NASA’s Spitzer Space Telescope has gathered surprising new details about a supersized and superheated version of Earth called 55 Cancri e. According to Spitzer data, the exoplanet is less dense than previously thought, a finding which profoundly changes the portrait of this exotic world. Instead of a dense rock scorched dry by its sun, 55 Cancri e likely has water vapor and other gases steaming from its molten surface. Galaxies once thought of as voracious tigers are more like grazing cows, according to a new study using NASA’s Spitzer Space Telescope. Astronomers have discovered that galaxies in the distant, early universe continuously ingested their star-making fuel over long periods of time. This goes against previous theories that the galaxies devoured their fuel in quick bursts after run-ins with other galaxies.